Lately my daughter has been really into mushrooms. So I typically pick up a couple of large containers of whole mushrooms during the week, and her and I will clean them and she will cook them down however she wants. This past week was no exception, plus they were on sale which makes it all the better. As these cooked down into a lot of mushrooms, I knew I had to do something with them as I think she was mushroomed out after a couple of servings. That’s when I threw out some bait to my wife stating that I was going to serve up some mushroom tacos this week. Her response was ‘Mushroom tacos? C’mon!’. I don’t think she really believed me, but as we are trying to eat a lot less meat during the week, this I knew would be a real winner, and it was. I knew these would be a big hit, and seeing as though my boys were up north fishing, I knew that my wife and daughter would devour these. 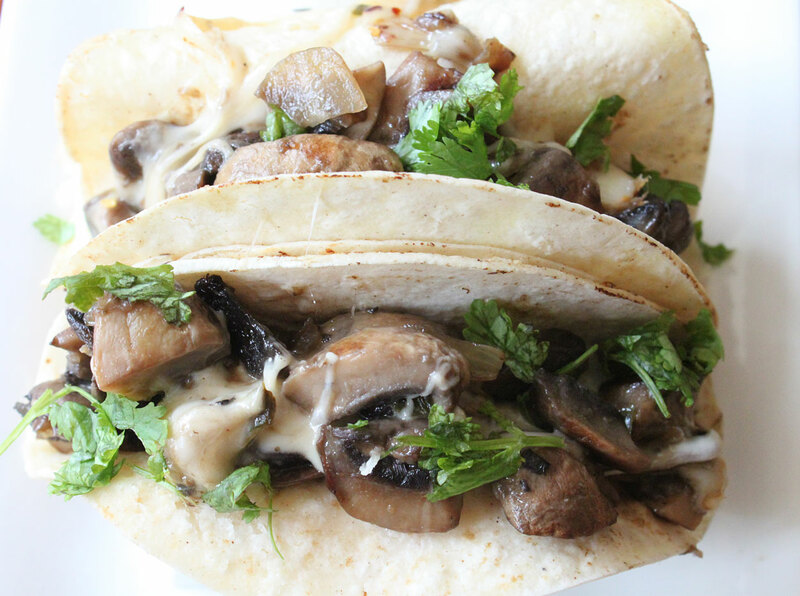 These mushroom tacos are way too easy to make, and make for a fast and delicious meal any day of the week. Start by heating a skillet on medium heat. Add in the canola oil, onion, and garlic. Give that a good stir and cook for a few minutes. Add in the mushrooms, and continue to stir. Cook until the mushroom caramelize, about 20 minutes or so, stirring along the way. Add in the jalapeno, salt, pepper, and diced tomatoes. Cook for another 5 minutes or so. 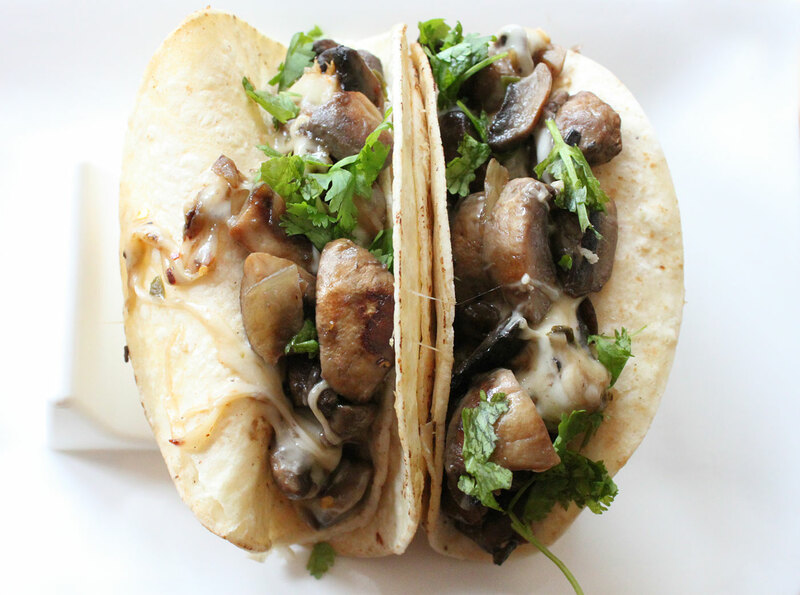 Once the mushrooms begin to caramelize, heat another skillet, and add in the corn tortillas. Continue to flip the tortillas until they are completely warmed through. To be honest, I like a little bit of char on mine so I let them go a little longer. I also like to add the slices (or shredded) cheese directly on top of my mushrooms, allowing it to melt. Also if you have never had queso Chihuahua, try it. It could possibly be one of my favorite melting cheeses. 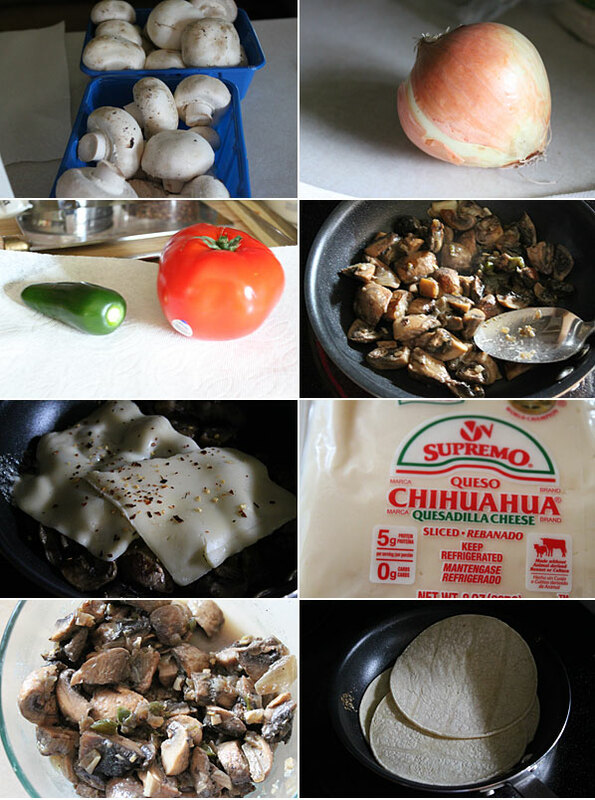 Take two tortillas, if using corn, and fold in the cheesy mushrooms. Shower with a bit of cilantro and dig in. The end result is one darn good taco. It’s ‘meaty’ in the sense because of the mushrooms, and it’s just loaded with flavor. You know what would also be good is the Mexican mushroom salad I made a handful of years ago. Shove some of that in some tortillas to kick start your day and you would be all set!